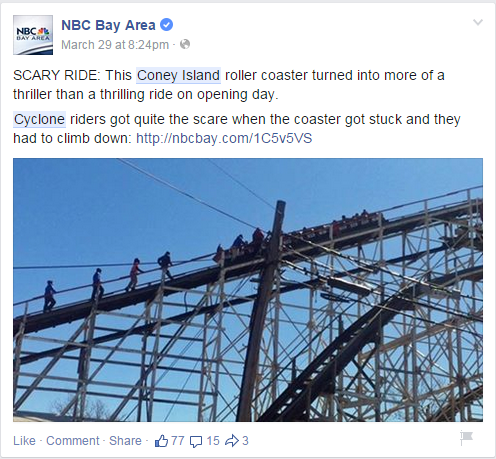 Over the past few weeks, as seasonal parks begin to thaw out from winter and re-open for the season, we’ve seen a significant uptick in news coverage of what we in the amusement park industry know as “evacs” – taking people off a ride either via the lift or block brake. FULL DISCLAIMER: I am a credentialed member of the media. I broadcast the news on a daily basis. My job is to inform and educate the public via the airwaves. In a strange way, I could be seen as part of the problem based solely on my position. On the other hand, I can be a harbinger for truth and education. Let’s take that previous example of a coaster stalled on the lift. Why then does a person who’s car has broken down on the side of the interstate not make news? (Outside a traffic report). Think about it – here’s a ride vehicle, who has stopped suddenly – and is now on a median designed specifically for breakdowns. How is that different from a coaster that stops on the lift or brake run – where there is a platform (or two) that allows guests to safely disembark? So today, I am challenging my fellow media personnel to better educate themselves so as NOT to sensationalize the unsensational. 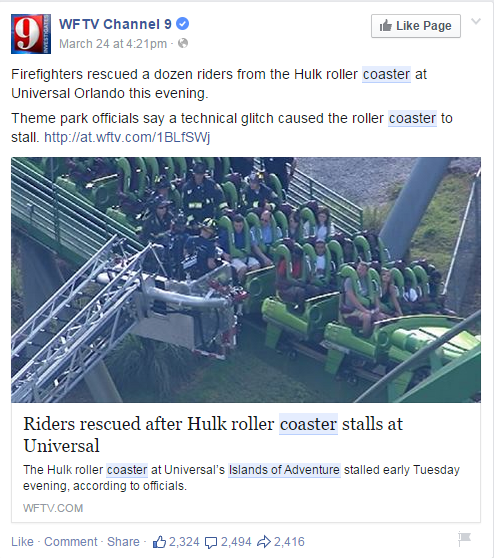 Because a coaster that has a simple malfunction shouldn’t be click bait – when we have so many other stories worthy of telling, instead.